Sacred site both for Hinduists and Buddhists. Jwala Mai Temple, Swaminarayan, Shaligram and Gomba Samba. 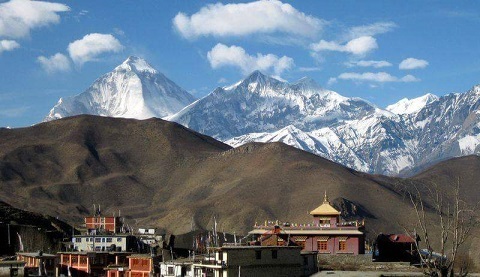 Day 1: Pokhara to Jomsom (2720 m) by bus 15 hours or by flight 30 minutes. Then start walking to Muktinath (3510 m). Overnight at guest house. Day 2: Early morning visit Muktinath temple and other monasteries nearby. 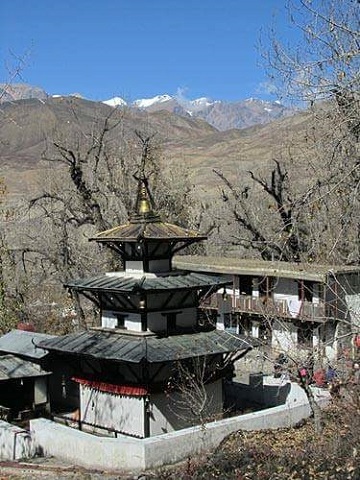 Then explore Muktinath during the day. Overnight at guest house. Day 3: Muktinath to Jomsom (2720 m) walking 5 to 6 hours. Overnight at guest house. Day 4: Jomsom to Pokhara by flight 30 minutes or by bus 15 hours. Overnight at guest house. - Language speaking guide service (salary, all lodging and meals). - Porter service (salary, all lodging and meals) 2 persons 1 porter. - Trekking accommodation in lodge / tea house with breakfast, lunch and dinner (twin share room). 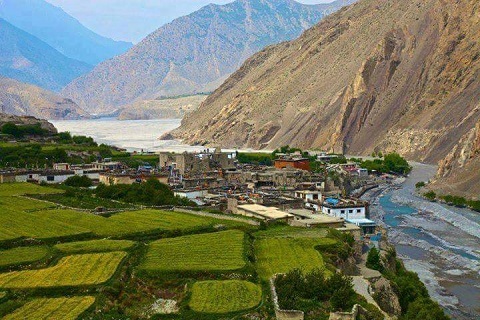 - Flight from Pokhara to Jomsom and back to Pokhara OR Tourist standard bus from Pokhara to Jomsom and back to Pokhara. - Hard and soft table drinks such as Coke, Fanta, mineral water, dessert etc..